The SHAPE PAPARAZZI II PRO is a video/photo handle that supports video cameras, DSLRs, and VSLRs. Offering a stable base, it allows for shooting shake-free videos. It features a double-handle large external frame, which is placed perpendicularly to the camera. Equipped with a wide variety of threaded holes (1/4-20, 3/8-16) located on the sides, on top of and below the handle, the photo/video handle is used to attach various accessories like audio recorders, LED lights, spot lights, LCD screens, remote controls, microphones, grips, padded handles, etc. It also features the 15 mm Rod System that allows the use of advanced video accessories like matte boxes, a 35 mm lens adaptor and follow focus mechanisms. Using a quick-release plate (not included) that can be attached below, you can attach the PAPARAZZI II PRO to any standard tripod. Made of aluminum and built using CNC machines, the PAPARAZZI II PRO is solid and durable, and holds your cameras securely. 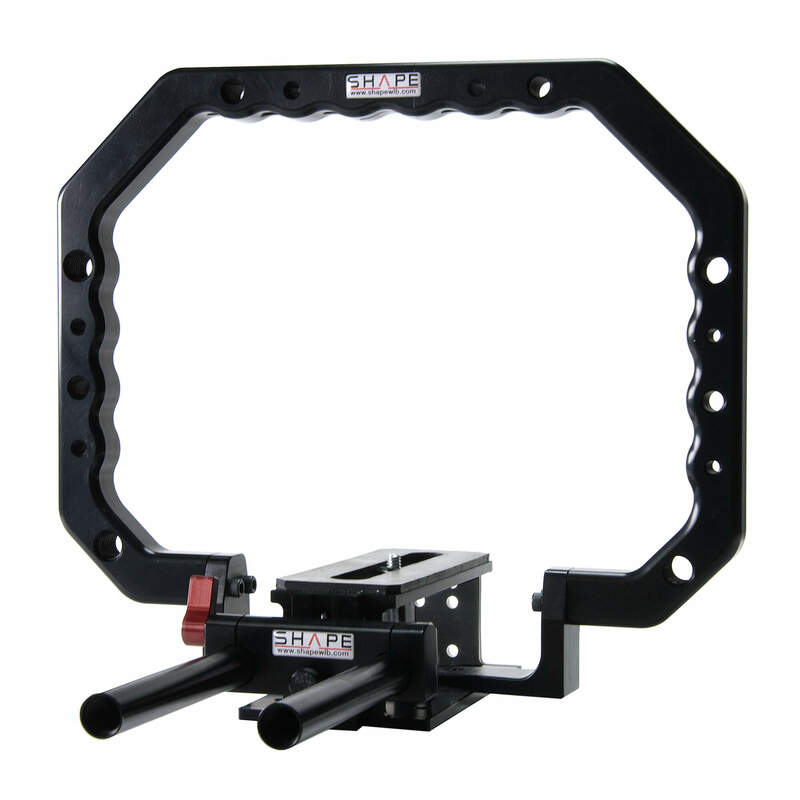 The photo/video handle has various hard-anodized parts that provide a resistant finish.